Human T-lymphoblastic leukemia cell line from implanted tumor in Syrian hamster. 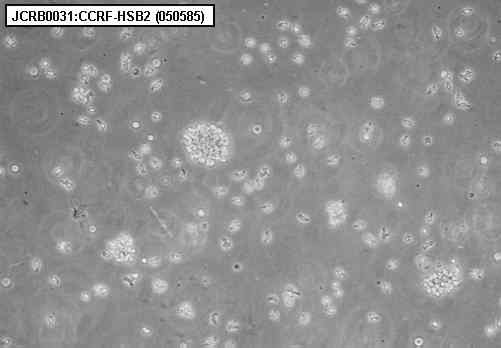 Cultured in vitro from implanted tumor in Syrian hamster. 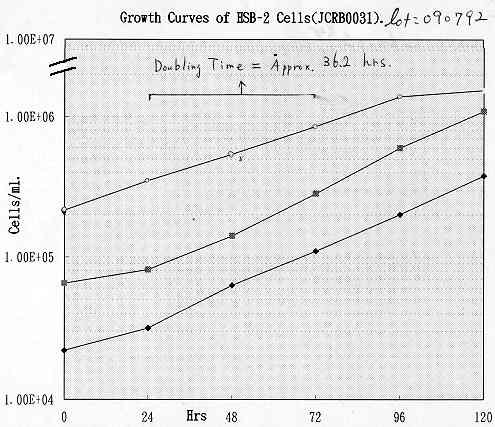 After CCRF-SB was transplanted to new born Syrian hamster, cells were then transferred in vitro culture system again at 8 th transplant. 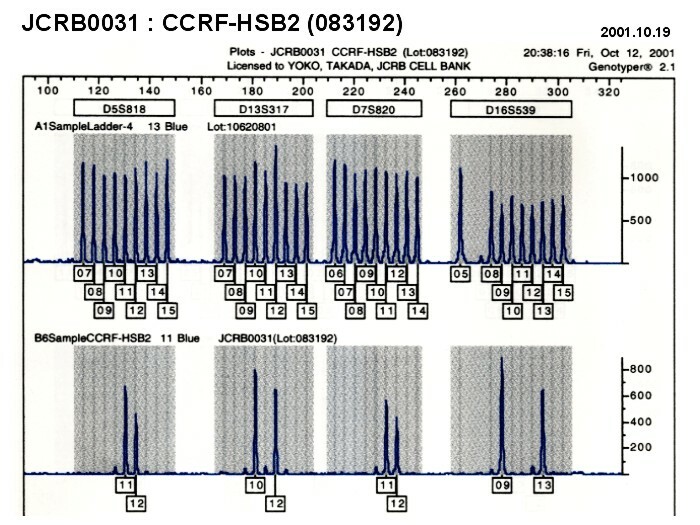 STR-PCR showed the close similarity with the CCRF-SB. Formal discussion: the role of transplantation in the experimental investigation of human leukemia and lymphoma. Dilution is appropriate for the subculture. 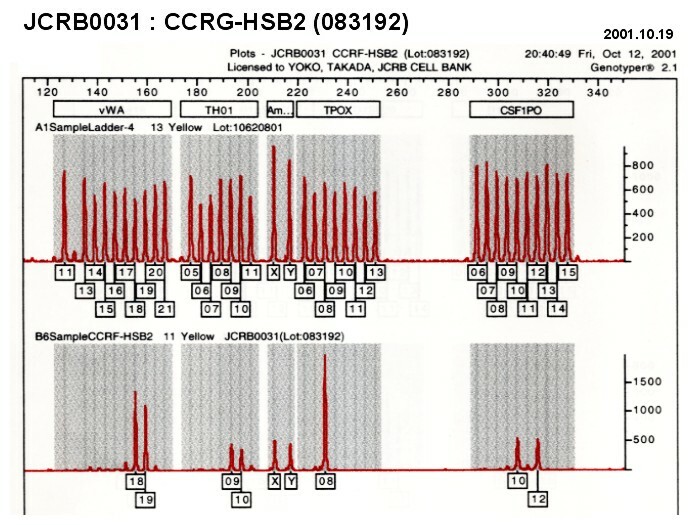 RPMI1640 medium with 10% fetal bovine serum. Lot # and passage # that printed on ampoule are wrong (mislabeled). 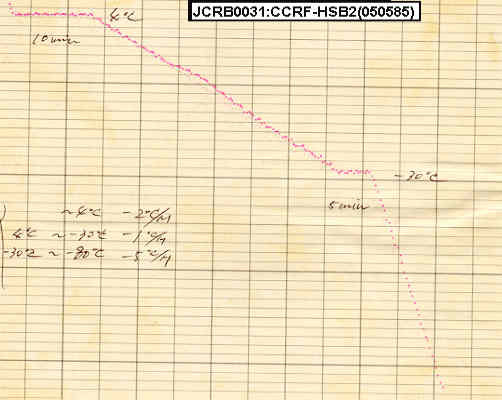 Correctly the lot# is 042191 and passage # is P5* as shown in the data sheet.